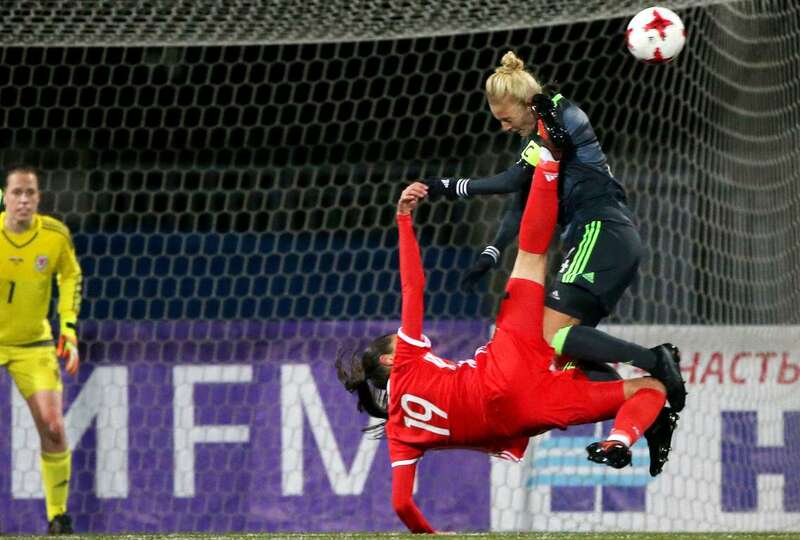 Russia's Nadezhda Karpova, front, and Wales' Sophie Ingle vie for the ball during the 2019 FIFA Women's World Cup qualification match on Tuesday in St Petersburg, Russia. The game ended in a 0-0 draw. Kick the ball, not me Russia's Nadezhda Karpova, front, and Wales' Sophie Ingle vie for the ball during the 2019 FIFA Women's World Cup qualification match on Tuesday in St Petersburg, Russia. The game ended in a 0-0 draw.